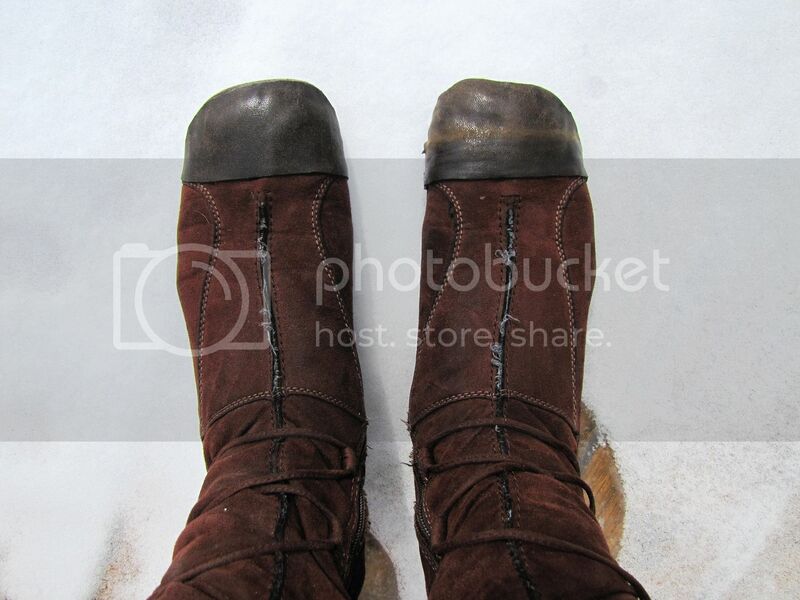 I have these micro-suede boots. They are about three or four years old, maybe more. They have a thin lining in them and I like to wear them when it's not too cold or too wet but not yet warm. There are quite a few of those days where I live. Though they aren't particularly well made boots, I like them because they have practically no heel and fit over my monster feet. 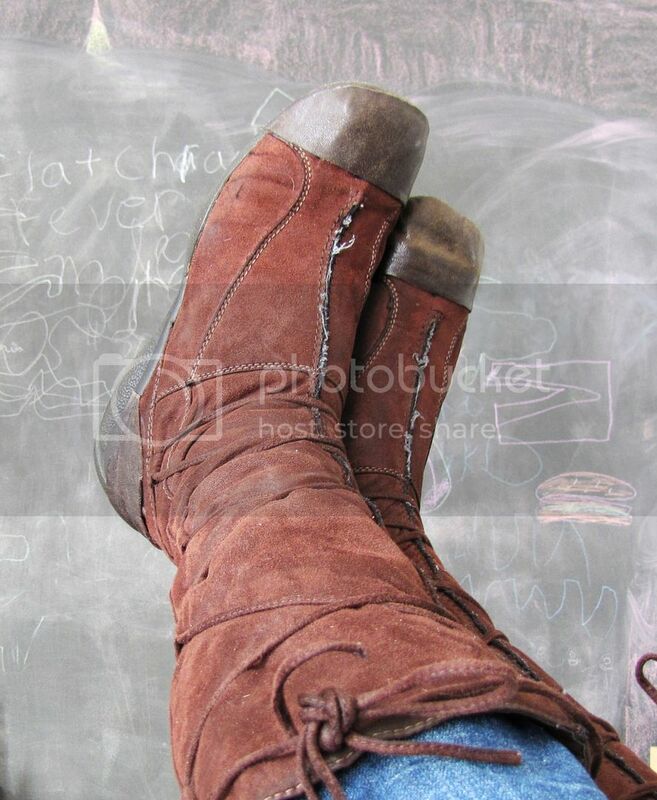 Bunions (such an ugly word) are evil masters and dictate much of what can be worn. Which is why, as the boots have been slowly falling apart, I've been dreading having to go out and find something to wear on my feet. The toes were almost done and the fabric on the heel was lifting away from the sole. Which was too bad, because the actual sole is in great condition. No holes, hardly any wear. Then I had this great idea: I won't have to buy new boots if my old ones don't wear out! 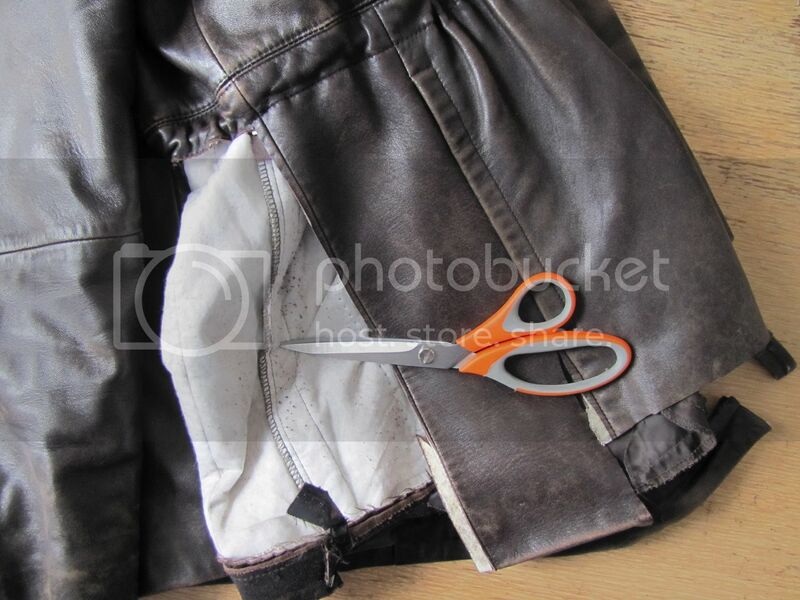 A while back I picked up a couple of ridiculously inexpensive leather jackets one of my local thrift stores was selling as craft material. 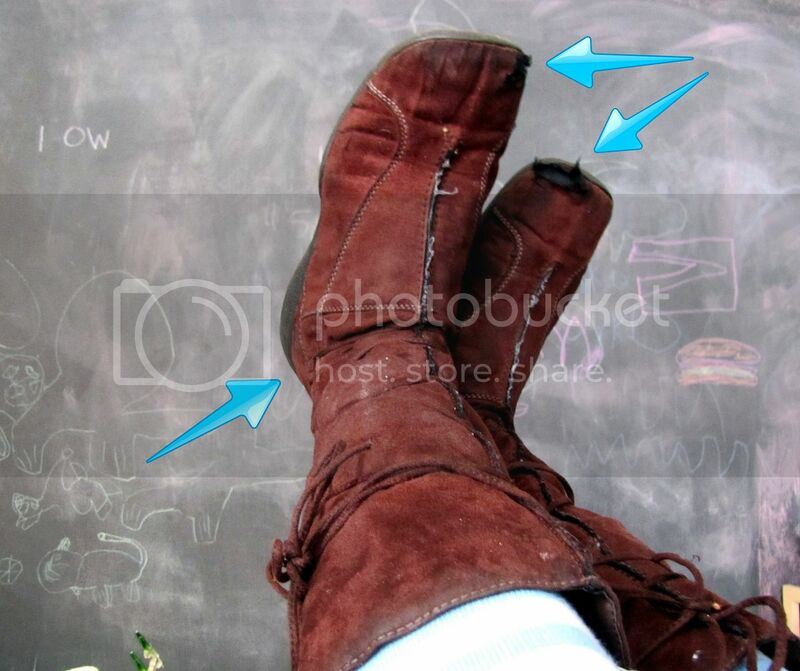 From one of these, I cut a couple of toe and heel shapes to patch over the worn parts. I used what I had on hand, which is a waterproof contact cement, to secure the leather to the boot (I'm sure there lots of other great adhesives out there to do the same job). 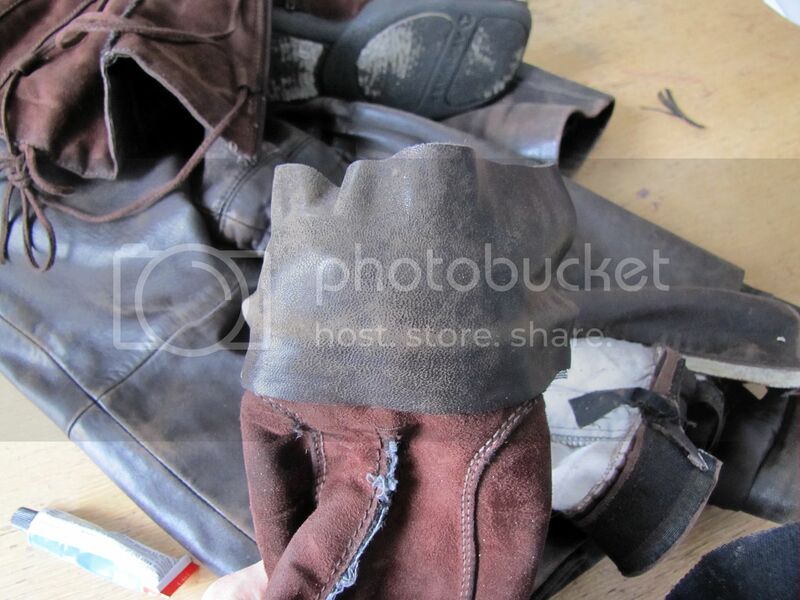 Because worn leather is nicely pliable, I was able to warm it with my hand and shape it over the toe of my boot without creating wrinkles. 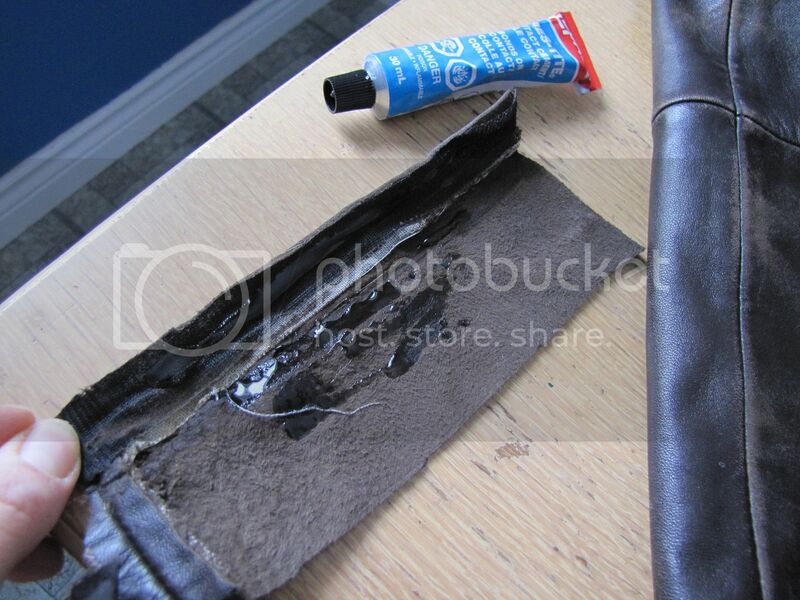 Once it was dry, I used a sharp blade to cut away the extra leather and then reapplied a bit of glue to seal the edges. And just like that, at least one more year of use. The next step, once the rest of the boot is worn beyond repair and if I am feeling ambitious, will be to cut them away from the soles and make a pattern for my next pair. Oh my goodness. I have the "b" word too (*whispering* bunions). I have had them most of my life, and consequently have trouble finding good shoes. After the birth of my children, my feet also got WIDER! I now wear a women's size 9, but 4E width. Basically, Even fewer available in that size....and most of them are taupe. Hang on to those cute shoes! !